Nobody thinks on their wedding day that theirs will be one of the many marriages that end up in divorce. Unfortunately, whether it was the result of a hasty decision making process or circumstances that arose over the time you were together, the fact is that now you find yourself faced with picking up the pieces and having to move on with your life. There is no unwritten rule that says that divorce proceedings have to be ugly or highly contentious. It is possible to work together with your former partner in resolving important issues, and the following are some great tips designed to help. Under the Florida Dissolution of Marriage Statutes, there are issues pertaining to the division of marital property and the care of children which must be resolved before your divorce can become final. These tend to be the areas in which couples are likely to get into trouble, with disagreements that can lengthen the divorce process and drive up the costs. Agree to disagree. Realize that you and your former spouse are likely to see things differently. While you do not have to agree with their point of view, you can give up on trying to change it. Put things in writing. Relying on casual, spoken agreements opens the door to misunderstandings. In matters pertaining to your divorce, limit conversations to more formal discussions with your attorney present. Outline consequences. In any agreement, outline the ramification that will result in the event one of the parties fails to uphold their end. Be specific in terms of having to return to court and what the costs are likely to be. Resist old patterns of behavior. If you spent the last months or years of your marriage engaged in power struggles, it can prove challenging to change this behavior. Remember that the past is behind you now, and focus on moving forward. Keep your expectations realistic. Realize you are not likely to be best friends with your ex, at least not right away. Work towards fair agreements concerning division of assets and child time sharing, without making it personal or expecting too much. 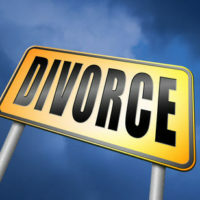 As an experienced Fort Lauderdale divorce attorney, you can trust Vanessa L. Prieto to protect your rights in all types of divorce related matters, while helping you resolve issues in the most effective and efficient manner possible. Call or contact our office online today and request a consultation to discuss your case and how we can assist you.